It is comparatively cheap just £24.99 at scopes n skies, but I must say its an exceptional pair. worth every penny. If you are looking for a good 10x50 on a budget, I`d highly recommend these. Thus I was eagerly awaiting the weekend to check it out. Another weekend arrived and again it was time to make decisions. Where and how do I go birding this week? Having had a good session around blackberry hill last week, do I return there? or should I try somewhere new? also, having had a very productive time walking instead of cycling last week, should I again go walking and end up exhausted? finally I made my decision. 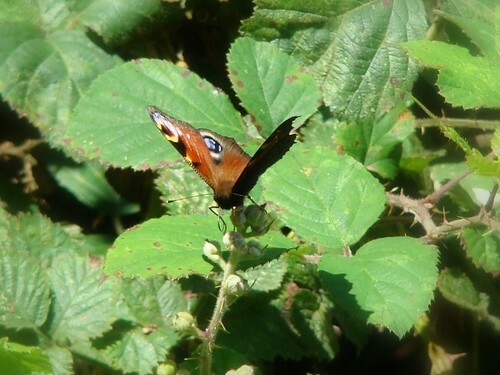 I`d return to blackberry hill and check out some unexplored areas, I would cycle halfway and walk the rest. 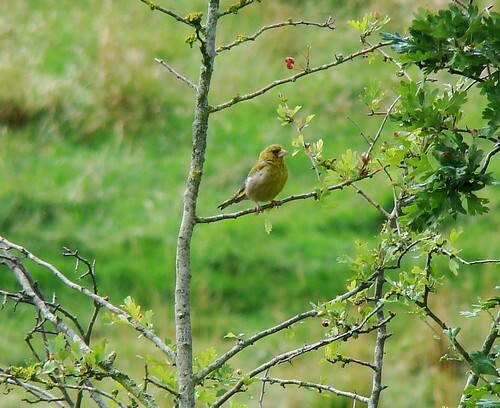 It had rained in the morning and as I set out the sun was just re-emerging and the birds were scarce. 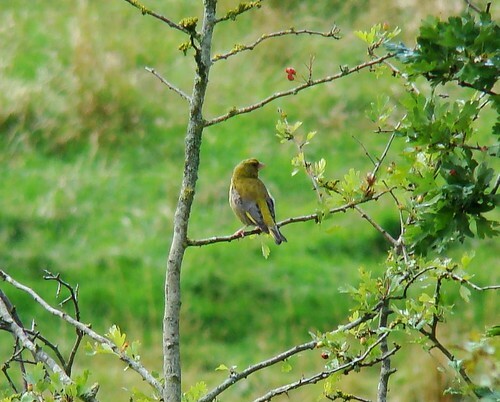 After awhile I saw my first bird a young greenfinch. 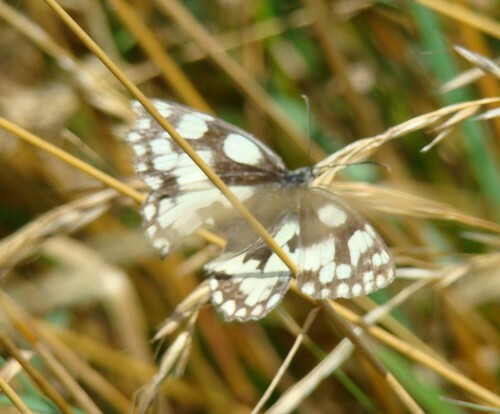 I then saw the marbled white which I had to chase around for more than half an hour to get this lousy shot! 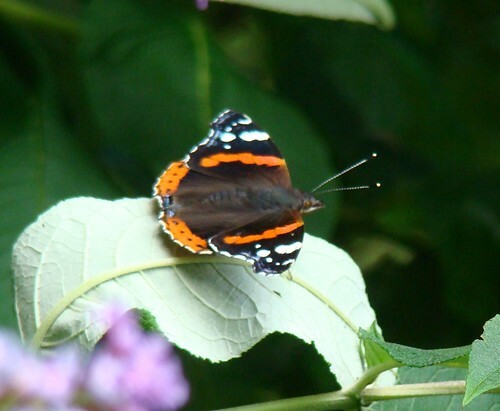 I guess together with the peacock, they must be Britain's most colourful butterflies. 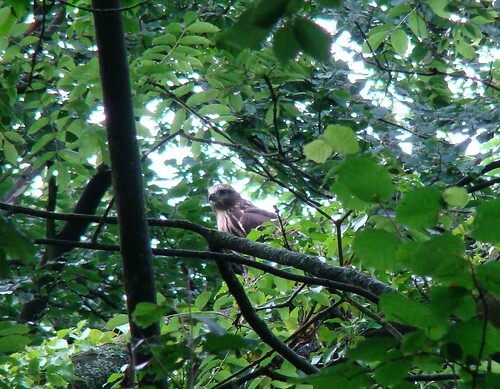 I then headed back home but the cries of a buzzard and some other bird drew me into the woods where I witnessed the Buzzard nest earlier. I was wondering where the bird calls were coming from, when suddenly , right from in front of me, took off the buzzard!. I had just missed a photo of a lifetime! but anywa, it didnt fly too far. It sat on a nearby tree to study me further and I managed to get this shot. That was yesterday. 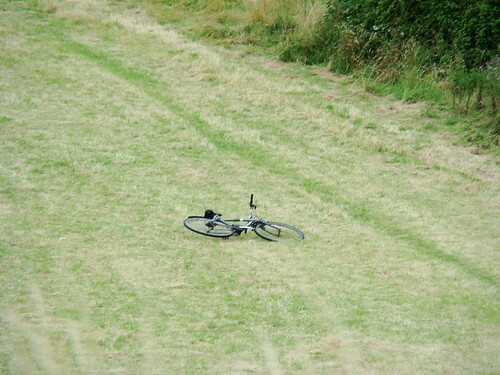 Today I returned to Blackberry hill, this time taking my cycle along all the way as I was too tired to walk. 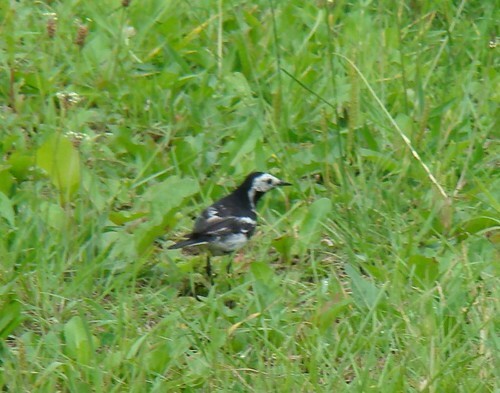 En route, I saw this pied wagtail, I see pied wagtails around all the time but I `ve never had my camera with me to get a shot. when I reached Blackberry hill, my new binoculars enabled me to spot two birds at the same time. something I would have missed otherwise! 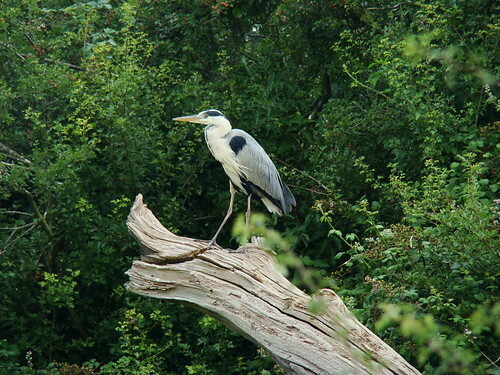 A grey heron, just begging to be photographed and a Green woodpecker. I ditched my cycle and took off after the wood pecker. 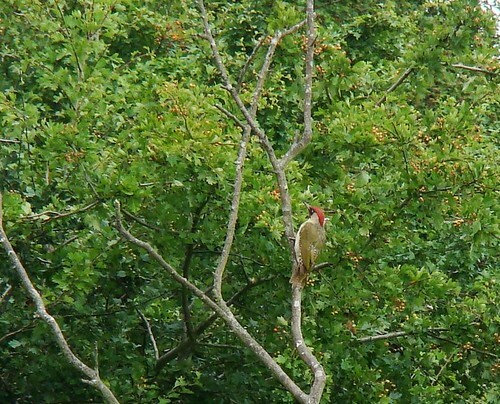 ..and although I managed only two shots of the woodpecker from far away before it flew off with a cry, I was able to link it to its call, which for a long time has mystified me. Having got the woodpecker, I set off after the heron, taking two pictures every 10 steps, fully expecting it to fly away any second. 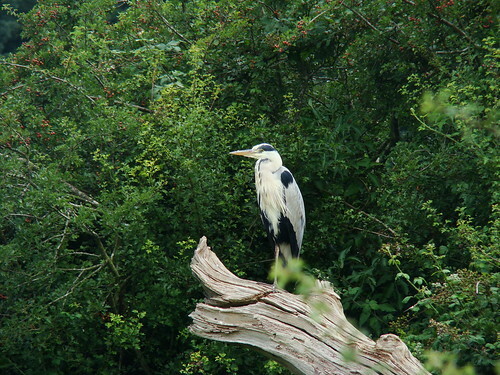 However, the heron seemed unperturbed by my approach and sat preening itself until I was really close. These shots (uncropped) would have been better had it not been for that annoying branch sticking out right in front! oh well, at least the camera focused on the right subject. anyway, that made my day, what more could I ask for, but hey I got more…all about that in my next post – about Kestrels on blackberry hill.